Happy Friday friends!! This week flew by and I don't think anyone is complaining!! We're ready for the weekend and thankful that the snow isn't going to be nearly as bad as they initially thought for our area. If you're in the affected areas (which is most of the Mid-Atlantic and East Coast) I hope you stay safe, warm and enjoy the forced relaxation. 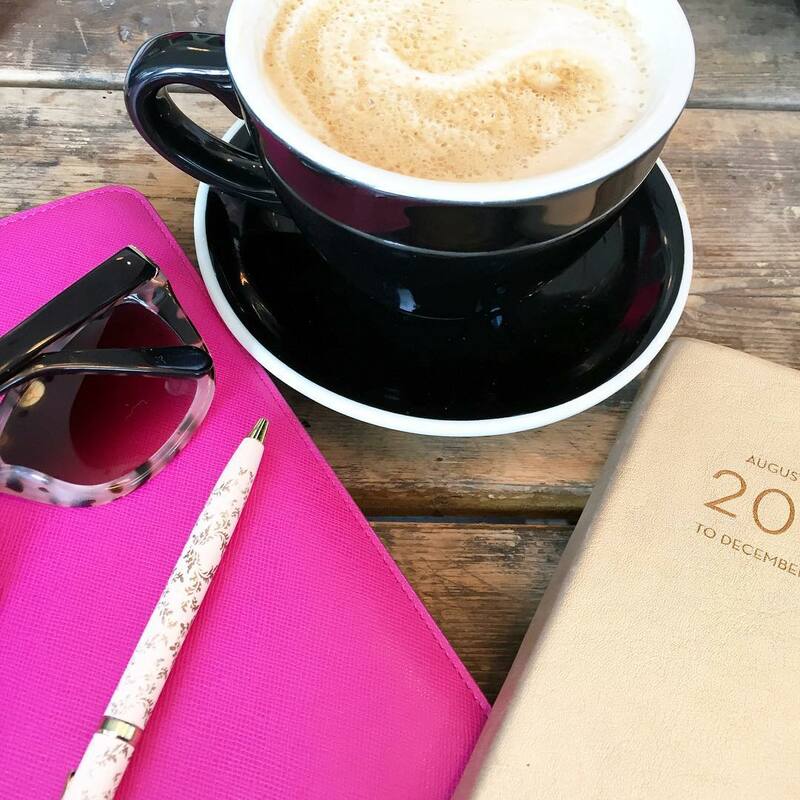 Linking up with Amanda & April to share my favorites from the week! I have used my crock-pot for the last three weeks at least twice a week and I love coming home to a cooked dinner! We've been running out of ideas and I found this gem for Crock-pot chicken taquitos!! They look so good I can't wait to try it! I was cleaning on Monday and this song came on iTunes - of course it's Shawn Mendes and it's so catchy. It came out a few months ago, but this was the first time I heard it!! Gary and I were having brunch last weekend and they served his coffee in this clear coffee mug. Ever since I've been obsessed with finding a set! For some reason anything clear makes me happy! I also really like these from West Elm too. Once in a while I spot a DIY that I actually want to make - like this brass handle marble tray! Just look at all the ways you could actually use it! //This was one of the easiest ISO breakdowns I've seen for taking pictures! // Quite possibly the sweetest story I've heard of long lost love //Have you ever struggled to achieve the perfect winged liner -not any more with this tool! Hope you all have a wonderful weekend! See you back here Monday for weekending! That DIY tray looks like it would be a fun project to try! I'm stuck in the middle of this weekend snowstorm so I should probably pick up a craft or two (and some groceries!) to keep me busy. Have a great weekend! 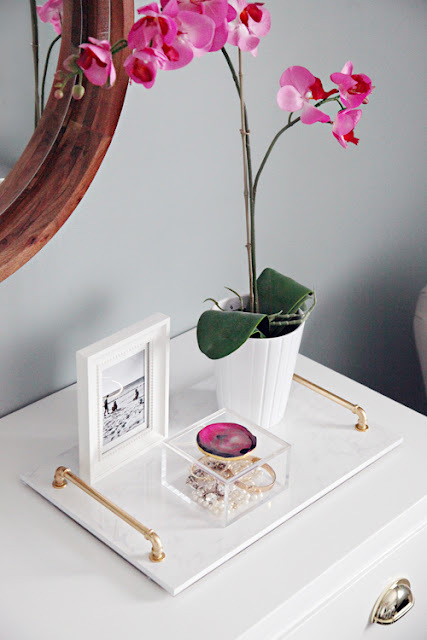 I have a DIY on the blog for a marble tray. I have a few of them around the home, they are so pretty! I love clear mugs!! !They make coffee seem so much more fancy :) And chicken taquitos are my favorite, so delicious! Great post today girl, have an awesome weekend! I founds some clear mugs we adore at Wal-Mart, they were under $3 each so I bought 8! It's what I drink my Baileys and coffee in, so pretty and classy!! YUM on the taquitos, thinking a Weekend crock pot dish for sure to feed these hungry boys, lol!! Yes, hope that storm stays says from your and Happy Weekend gorgeous!! That ISO chart looks pretty handy! I need to save that link. Hope the weather doesn't cause too much chaos for you! Happy Friday ! I love those clear coffee mugs ! So glad that the weekend is here! Ours schools have already been cut two hours short today, but I don't think the really bad weather moves in until tonight. I love listening to Shawn Mendes! It's so upbeat! I love our clear mugs! Crate and Barrel has tons! Stay safe and warm friend! I want to make that tray! It's so cute! Good luck with the snow this weekend over there in Boston. Stay safe!! I just pinned that crockpot taquito recipe! It looks amazing! Also loving that tray - I kind of want to try that when we get home! Aren't those clear mugs so cool?! I bought a couple at Target because the concept is so neat. 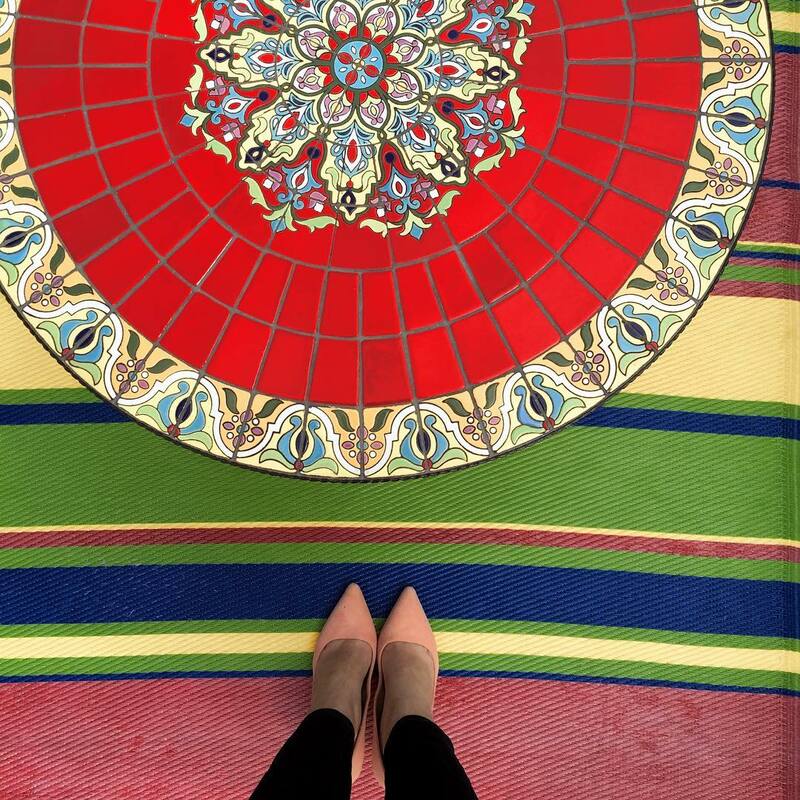 LOVE that DIY tray too--I'm all about marble everything! Happy Friday love! Even though I stay home, I love me some croc pot recipes! That one is definitely getting pinned. And that DIY tray, adorable! Happy Weekend! The ISO post was great, I do want to know if she used a tripod for a lot of the shots with the lower shutter speeds, definitely bookmarked that one! Yes to crockpot cooking all day every day, nothing like coming home to having dinner done! Hope you stay safe and warm this weekend! I found clear/glass mugs at TJMaxx a while ago for super cheap and they are so cool! The crockpot taquitos look so good...I have never thought to put something like that in the crockpot. I'm going to have to try it! Hope you have a great weekend! Stay warm and make those taquitos! They look tasty!! That marble tray is genius!! And I just pinned the photography tips! Thank you for sharing. Happy Friday! I had coffee from a local shop here last year in a glass mug and I swore that was the reason why it was so good!!!! I then was on a search for glass mugs and actually found some beautiful, antique snow scene ones at a thrift store for less than $1 a piece a few weeks later. They are by far my favorite things ever! Hope you have a great weekend!!! Also, Taquitos are so delicious!!! I am going to have to save that recipe for after Whole 30!!!! Love the idea of the DIY, so pretty and fancy! Stay warm this weekend, glad y'all aren't going to be hit too badly! Happy Friday! Obsessing over these relish pot stickers they look amazing! Ugh this storm is like really scary snowed in all weekend! Stay warm up there! Yum those taquitos look good!! Also that tray tutorial is so pretty and doesn't look too difficult! Thank you for sharing and have a wonderful weekend, Biana. Those taquitos!! What kind of crockpot do you have? I've been searching for a new one--mine does the job, but it cooks crazy fast, even on the warm or low setting, so I can't set it before I leave for work. Crock pot meals are my favorite!! Love that DIY marble tray! Stay safe in the snow! And loving those clear mugs -- so cute. Off to read that story. Happy Friday! That marble tray looks soo good. Could not be more on trend righ tnow either!! Those clear mugs are so pretty - I think you need a pair! Glad the snow isn't going to be too bad in your area. Have a great weekend! You can make those in a crockpot????? YUMM! Enjoy the snow! I'm glad you won't be hit too hard! Checking out that recipe now, and the ISO pictures... We all know how I'm obsessed with Instagram ;) ha ha! That recipe looks life changing!! And SO good. The mugs are so chic! Have a wonderfully warm weekend! We use our crockpot 1-2 times a week every week and I can't get enough recipes for it!! ;) I swear, we wouldn't eat if we didn't have one lol! I'm thinking we're going to get up to 6" of snow so I'll happily stay home tonight and tomorrow if so! I was given a pair of glass mugs from Simon Pearce that I love - I'm sure you can find a cheaper version but if you want to splurge or keep in mind for a gift check them out! Crock pot recipes are seriously the best! Chris will usually throw everything in there when he's working from home, and I think that he seriously hates that he has to smell it all day! I love that Sean Mendes song too! It's so fun! I hope you enjoy your weekend, and try to stay warm with all of the crazy snow weather! Those taquitos look so good! I haven't used my crockpot in ages, I need to bust it out again. Have a great weekend!! I saw that tray DIY and want to try it! Crock pots are literally THE best inventions EVER! Today I'm cooking up some chicken for some tacos, mmm! The taquitos look so yummy! Hope you have a nice warm weekend girl! Loving that tray!! Such a great DIY!!! That tray is so pretty and those tacos look absolutely delicious! They just might have to be added to my meal plan for next week! Have a great weekend! Those clear mugs are fantastic, and I am pinning that crock pot taquitos recipe right now!! I bet a ranch seasoning would be so good added to it, too. Have a great weekend! I have to say... cute mugs are great... but I have double-walled clear mugs and they are my absolute favorite!!! I got them as a gift once and thankfully my husband doesn't really like them so I get them all to myself all the time! Have a great weekend, lady! Love the marble tray! Enjoy your weekend! So good to know the weather isn't going to be as bad as predicted. My husband is flying out of Boston today and I was hoping it wouldn't cause his flight to be delayed or cancelled completely. Crockpost recipes are seriously the best thing ever. I use it a lot for Sunday dinners. Love that ISO cheat sheet, and I've been jamming out to that Shawn Mendes song as well lately lol! Mmmm tacquitos look so yummy! Totally pinning that and the tray! Stay warm! I LOVE those coffee mugs. I've never really thought about it before, but WHY are coffee mugs never just plain clear glass?? So strange. We are totally in sync this week! I was asking Josh if he could help me with the tray tutorial PLUS he got me clear coffee mugs! And that song is so good! Have a great weekend love! I love that mug! I need a couple of those. I definitely pinned that recipe too. I love the crock pot! I am all about crock pot meals right now and saw that recipe on Pinterest! I want to try it! Glad your area isn't going to get that badly affected, but stay safe regardless!! Crock pot recipes are awesome especially for this time of year! 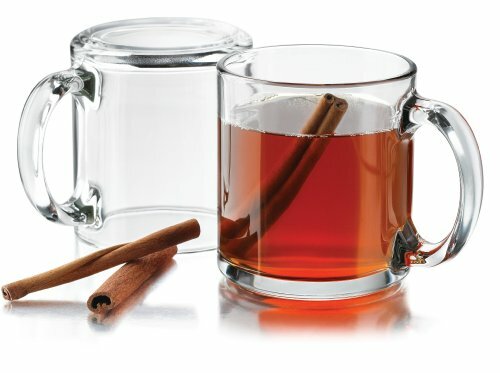 The clear mug looks so cool, it's only a matter of time before Target has something similar to it! That song also, love!! Crockpots are just so handy! Gotta love them. Happy Friday! I have a clear coffee mug and I LOVE it! I don't know why but somehow it makes everything from hot chocolate to hot toddies seem instantly more chic, haha! Those crock pot taquitos are happening! YUM! I am right there with you on the clear mugs! I'm always excited when my coffee comes in one! Oh my gosh! I am ABSOLUTELY making those crock pot chicken taquitos THIS weekend. Thanks for sharing the recipe. They look delicious. Stay warm this weekend! I wish I wasn't so afraid of using my crock pot while I'm at work... I'm just afraid its going to catch on fire for some reason... or the REAL threat? Harvey Dent knocking it off the counter top. Odds of that are so high! Yes, please stay safe!!! Glad your area is expecting less than the norm. And yes, love crock pot meals, so yummy and easy! And I love clear mugs too, always look so good with tea. Happy friday!! I hope you have a wonderful weekend. Stay warm! Love the clear coffee mug! I also love making chicken taquitos but have never made them in the crockpot! Hope you stay safe and warm this weekend! Girl, you are always sharing the most yummy and delicious recipes; I just pinned the chicken taquitos, I'll definitely be trying! I've been using my crockpot all week, too. I have the crockpot power XL, which is literally heaven sent! 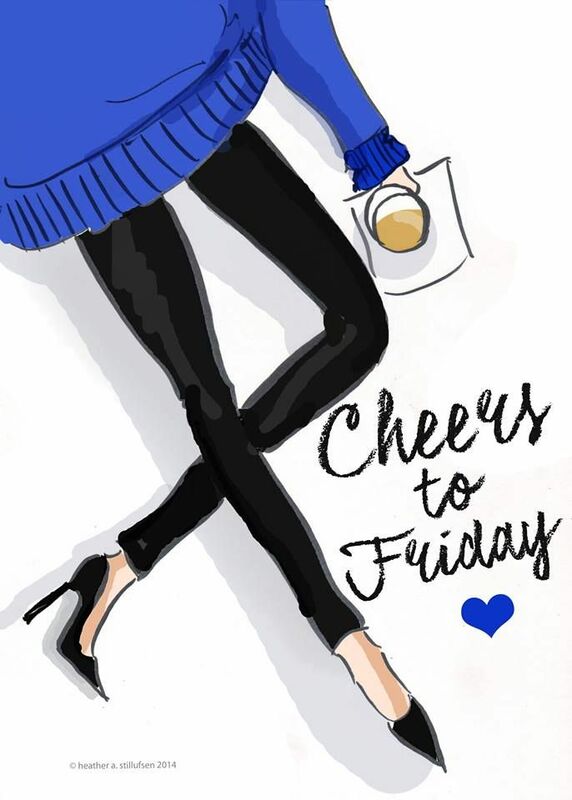 I hope you have a cozy and safe weekend, beauty! I'm so not looking forward to this blizzard. I've been getting alerts on my phone all day! Love that crock pot recipe, definitely on my rotation for next week because I have run out of ideas now! I have eaten the same few meals on repeat so time for some new ones! Great post, I always want to use my crock pot more, thanks for the recipe! Those taquitos look SO good, and I need that winged liner tool in my life! Have a good weekend! I need those beauty blenders, winged eye-liner junkie. Chicken taquitos??? Kill me... can't wait to hear how those turn out! I love those glass mugs! I have some similar that I've glass etched! Have a wonderful weekend! We've made those taquitos and they are delicious!! So easy, too! Hope you're staying warm/safe over there! Loving that song...thanks for sharing I had not heard and it is not something I probably would have run across on accident. I love that tray and those mugs. I have never seen coffee in a clear mug but don't see why not? I love coffee, why not look at it ? I am not much of a DIY-er but that tray might be worth a shot! We're usually about at the two nights a week crockpot mark too - I'd be lost without ours, in fact it's going right now! The taquitos look fabulous! Hope your weekend is going well! Holy crap, that recipe looks amazing! I need to try it out! I pinned a similar crock pot recipe and thought it looked so good! And those mugs make the drink look so yummy! Love how clean they are! 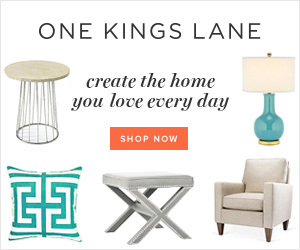 Oh I love that marble tray, what a fun diy!! Happy weekend! That tray looks so similar to the one I made. I checked theirs out--mine is easier ;) haha. Love those mugs...I really like the clear look! I love chicken taquitos! So good! And Jen's tray is so cute and functional. She has some of the best DIY projects. I need to try that crockpot recipe!! And the photo tips are amazing!! 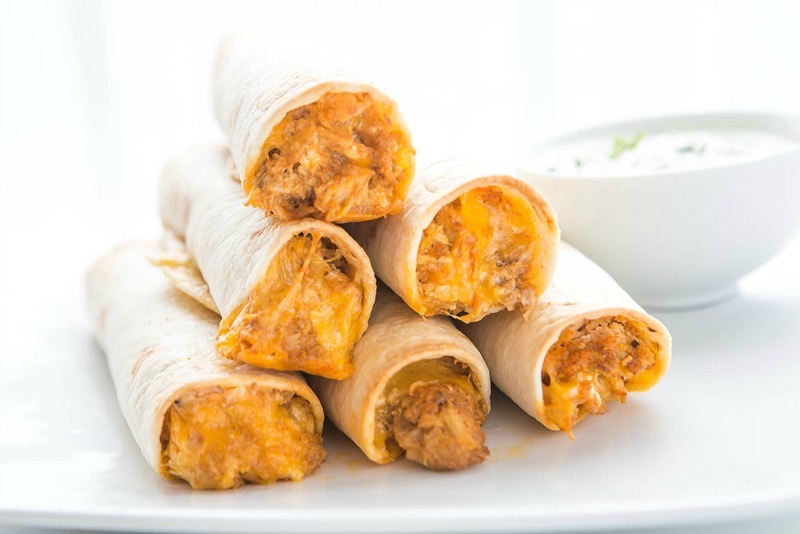 oh my those chicken taquitos look amazing! i'll definitely be trying that. 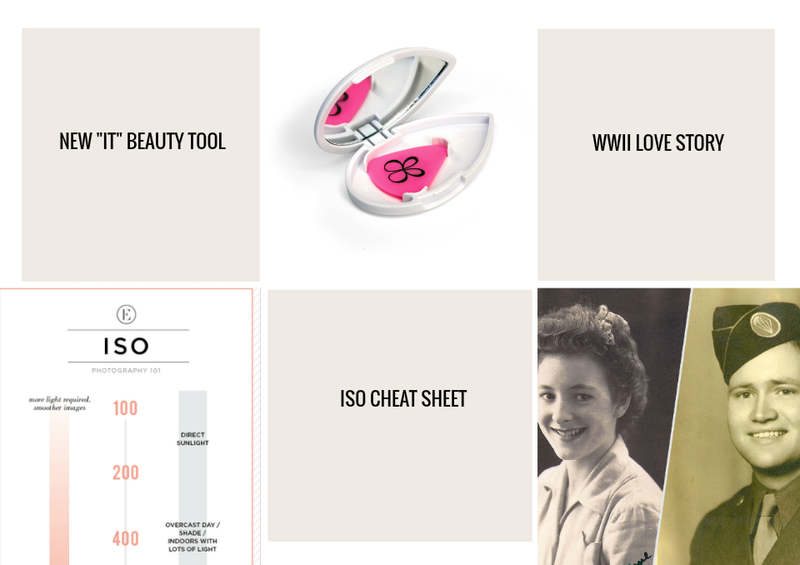 and that ISO cheat sheet was super helpful too, thanks for sharing :) hope you had a great weekend! I love using my crock pot! That recipe looks so yummy! I might have to try that one here soon!